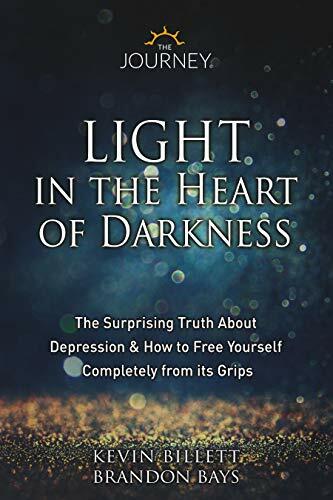 Best Seller Publishing announces the release of Kevin Billett’s new book, “Light in the Heart of Darkness : The Surprising Truth About Depression & How to Free Yourself Completely From its Grips.” It will be available for free download in the Amazon Kindle Store for one more day on October 26th. “After years in the field of personal development and wellness of body, mind, emotion, I feel a big wow. This book is THE answer I’ve been looking for in terms of lifting depression off ones life, once and for all. The writers have managed to take some of the pre-conceived notions of what depression is and re-establish the term together with the ways to tackle this major phenomena so prevalent in society today.” – Shani L.
“We all have depression at one level or another. Most of the time we probably don’t recognize it. We think this is just normal. We feel down. We’re not inspired. Maybe a little lethargic. Often there is a deeper reason than what’s in front of us. This book is a nuts and bolts “how to”. How to identify depression and then a systematic way to independently move through it, perhaps for good. When our mood is up, our spirits are high, and we have moved through the deep inner workings that held us back, then our everyday interaction with life and people changes for the positive, allowing life to unfold in a much more inspired direction.” – David M.